We love working with kids. It’s who we are, it’s what we do. As Jewish educators, we dedicate ourselves to helping our students better access and benefit from the academic and social requirements of school. No matter my training and my experience, I continue to be pained by and to empathize with my students when I see them misread social cues; when they try so very hard to engage with their peers, yet fail; or when they hover on the outside of a social circle, wanting so desperately to be a part of the group. As our students take positive steps forward, we are simultaneously attuned to additional obstacles they may meet. I am the School Social Worker at Boston’s Jewish Community Day School (JCDS). For years, I have been searching for a social curriculum to bring into my school, one that didn’t feel so scripted, full of “if… then…” hypotheticals. One that didn’t speak in universals, but that recognized the constant variability of social interactions. Simply put, one that felt organic. On the advice of my department head, I began to look into the world of Social Thinking, and the approach, once I understood it more deeply, blew me away. Social Thinking approaches the “social” from the basic concepts of thoughts, feelings, and behaviors. Social Thinking helps students learn, recognize, and understand how their behaviors and actions cause others to have thoughts about them, and in turn, how they each have thoughts about others based on the actions of their peers. Moving further, students explore how these thoughts that they have logically lead to feelings they have as well. Students learn to recognize and understand that behaviors, thoughts, and feelings are all connected, as they learn to try to achieve the results they desire. This process is in no way meant to be a shaming one. Similar to a grading rubric which helps students understand what will be expected of them, this process helps students understand how our actions and words affect others and ourselves in turn. For children who are struggling more acutely with understanding the nuances of social behavior, Social Thinking offers a clear, grounding approach that aids and supports them in their growth. Through even minor conversations in which I’ve incorporated Social Thinking concepts, I’ve seen a relatively quick and seamless connection for these students. The ability to easily apply these core ideas to everyday interactions and to our students’ current experiences allows for a more personal relationship between the concept and the situation at hand. Social Thinking lends itself so wonderfully to a myriad of forms of integration – the teacher is limited by nothing less than his or her creativity. Additionally, the combination of more intensive, small-group instruction for those children who are struggling coupled with the larger, school-wide introduction of the Social Thinking concepts helps to normalize the complex, and at times confusing, world of social interactions. With that normalization, every student will feel more comfortable and empowered to work to improve his or her skills. 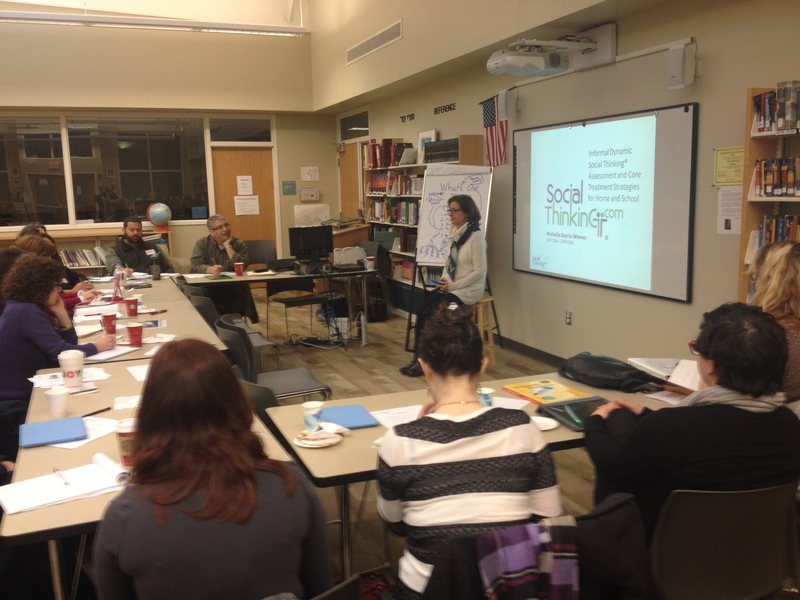 With a grant through Gateways, we are currently embarking on a three-year process of training every one of our teachers at JCDS in Social Thinking. The initial push-back I have received can mostly be attributed to the understandable teacher-angst of adding a new initiative to an already packed schedule. Yet within a few minutes of discussion of the Social Thinking concepts, the response tends to be “oh, well, I already do this!” Indeed, to a point, they do. To me, one of the beauties of Social Thinking is how it gives vocabulary and accessibility to the quagmire of the intangible. Social Thinking provides the faculty with a clear framework of “hows” and “whats” in communicating with our students when we want to get at the awkwardness or challenges that we see in our students’ social interactions. Moving forward, we are excited to reap the benefits of addressing these important matters with our students. As the students mature, their social challenges increase in complexity; as they get to know and understand the concepts behind Social Thinking, we will be able to more quickly, honestly, and supportively get to the heart of their issues. 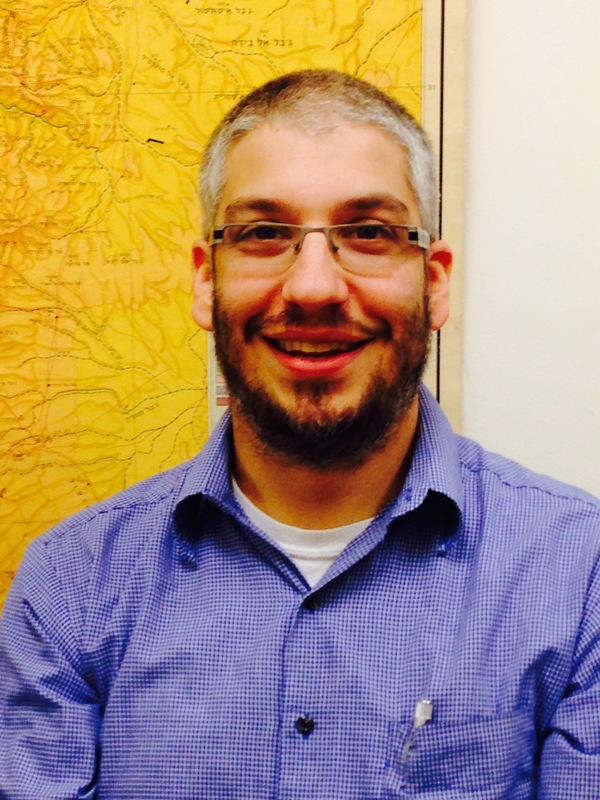 Pete Sperber is the School Social Worker for Boston’s Jewish Community Day School (JCDS) in Watertown, MA. His school is involved in a project of Gateways: Access to Jewish Education and funded by the Lebovitz Family Charitable Trust to bring the Social Thinking curriculum to Jewish day schools across Greater Boston. Social Thinking© is a program that was developed in California over 15 years ago by Michelle Garcia Winner, MA, CCC-SLP. Winner’s work and the materials she has created have become best practice and she is viewed as a national leader in the field. As the consultant for the Social Thinking Project at Gateways, I was thrilled to read Peter’s post. His understanding of Social Thinking and the associated benefits of he curriculum is terrific! It’s rewarding to be involved with this learning community and I look forward to the continuation of this project.